Rabbit Stew: Rabbit Offal: Yum Bum! Toast a thick slice of Rye Bread. 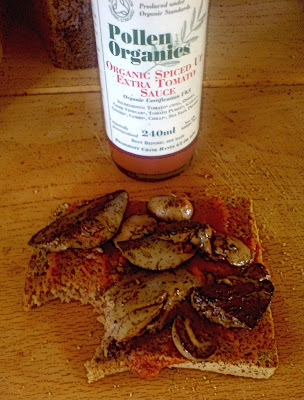 Briefly fry Rabbit liver and kidneys in a little olive oil (season with salt & pepper). Slather the toast thickly with ketchup of choice. Add the fried liver & kidneys.